With the BayernBox, the municipal administrations of the Free State of Bavaria now have access to their own online platform, which all employees can use to centrally manage their data, as well as to save, share and edit together. The control over the data remains always in the hands of the respective administration. 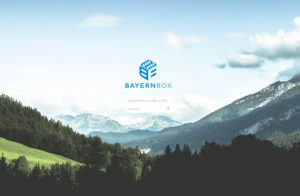 The BayernBox is based on the open source software ownCloud and was carried out by the Bavarian Landesamt für Digitalisierung, Breitband und Measurement (LDBV) in cooperation with ownCloud. With the establishment of the BayernBox, the Free State of Bavaria is taking another important step towards the digitalisation of public administration. The special feature of the municipal cloud is that although the infrastructure is operated and made available centrally by LDBV, each individual municipality receives its own protected cloud instance. This structure has the significant advantage that each municipality can decide for itself which files it makes available centrally and which remain in its own “protected” space. In this way, individual general terms and conditions and data protection regulations can be defined individually for each municipality, ensuring compliance with the strict requirements of the EU general data protection regulation (GDPR) and the German Bundesdatenschutzgesetz at all times. By creating “public links”, it is also possible to make individual files available to persons or organizations that are not part of the municipal infrastructure. “With the BayernBox, we offer our local government authorities a central infrastructure free of charge,” emphasised the Bavarian Finance and Homeland Affairs secretary Albert Füracker in an official press release. “With the BayernBox, the State of Bavaria supports the municipalities and provides them with an easy-to-use solution for digital communication”. “When we talk about digitisation, Germans first think of the big tech companies on the other side of the Atlantic. Examples such as the BayernBox show, however, that there are also successful projects in Germany that are worth talking about,” emphasizes Christian Schmitz, who, as Senior Manager Strategic Accounts at ownCloud, coordinated the cooperation between ownCloud and the LDBV. The BayernBox is based on the technology of ownCloud, an open source software that combines modern file-sharing functions, such as Dropbox, with operation on private servers. In addition to the file sharing functions, numerous other functions specially tailored to the needs of Bavarian municipalities were implemented in cooperation with ownCloud. These are intended to ensure smooth and secure operation, especially in public administration, where particularly high compliance and auditing requirements exist. With the auditing function, the access rights of individual users can be individually controlled and activities can be seamlessly tracked. This provides administrators and data protection officers with all the important information they need for compliance reporting and auditing. ownCloud is the market leading open source content collaboration solution worldwide. ownCloud enables users to securely access and share data from any device, anywhere in the world. With more than 200,000 installations and 25 million users, ownCloud provides organizations a modern collaborative experience, thereby boosting productivity without compromising on security. At the same time, it gives organizations the visibility and control required to manage sensitive data. To get the latest updates, please visit https://owncloud.com/newsroom/ or follow us on Twitter @ownCloud.